To schedule your visit call us today. Please be sure to visit the Patient info page of our site for new patient forms and information. 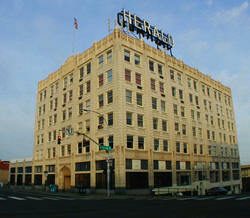 We are located in downtown Bellingham on the top floor of the historic Bellingham Herald Building. Visitor parking is available in the Bellingham Herald patron parking lot on State Street which is located across from the Herald Building and is free of charge. Please note that you must park in a marked "visitor" space. Please be sure to use the parking lot sign-in clip board located in the lobby of the building. If all of the visitor spaces are full you'll need to use the on street meter parking - 6 quarters for 2 hours. Note that the two spaces directly in front of the door to the building are only 30 minutes - don't use those.